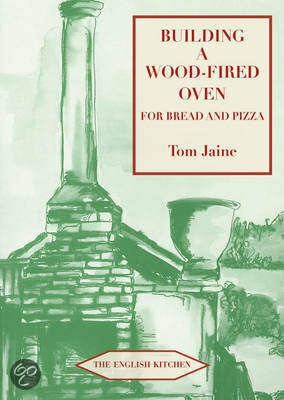 long_descriptionProspect Books' best seller is this handy instruction manual for the ultra-keen breadmaker and DIY enthusiast showing how to build a substantial bread oven in the yard or garden. Together with detailed plans (which do not omit a single block or brick) and a step-by-step specification, the book doubles up as an essay on English bread baking in previous centuries, with special reference to the hardware, equipment and working methods. There is plenty here to interest the reader who is not necessarily going to embark on the building project. The book was first published in 1997 and has had an annual printing since then. It sells at much in America as it does in Britain, although British sales have definitely increased in the last few years. There are other books on the subject, but few give as much historical context. The history of bread is something which is almost entirely ignored in current literature, greatly to its disadvantage. The book closes with a couple of recipes. It was never meant as a cookbook; there are plenty of alternatives, including the same author's Baking Bread at Home (Phoenix). But the enthusiasm for good bread, and for baking it yourself, is still growing and is well served here.